This Website is for people who are interested in Jesus Christ. It is for individuals who are seeking for the truth. 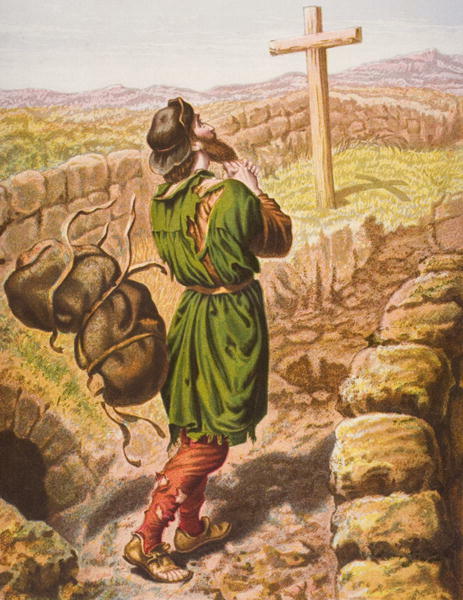 It is for you who may be lost or confused, it is for those who are disillusioned or unfulfilled by religion. It is for those who have questions. It is encouragement for believers. It is not for debates about religion, but it is about who Jesus Christ really is and what that means for us. Each one of us matter to him and that includes you! We all have problems & God through Jesus Christ has the answers. God is real, yet very personal, He is bigger then all the drama & fantasy around us. God controls everything. He has a plan for you. There is alot of hope in Christ for you. If you have doubts and fears, (that's ok, we all do) honestly seek God through Jesus Christ. He is more than able to proof himself to you. He loves us very much, but he will in no way excuse us if we reject him & refuse to come to him. ​So please read this website, take it all in, research & test it. I do pray that God will reveal himself to you, just as He has to me & that you will respond to him calling you & enter into a Grace relationship with him by faith. That you come to know him and be known by him! ​we should live DISCREETLY and RIGHTEOUSLY and GODLY in the present age, looking for the BLESSED HOPEand appearance of the glory of our great God and SAVIOR JESUS CHRIST, who gave himself on our behalf, that he might redeem us from all iniquity and purify a special people for his own possession, zealous for good works. You can click on the heading, which is one page, or the drop down pages! There is no greater joy then being a Believer, knowing that God loves you and has called you to a Grace relationship with him. And to have confidence and assurance that our sins are forgiven us. Watching God provide for you, change you from one degree of glory to another, preserving you through tests and temptations and keeping you from the evil one in the meantime and preparing you for eternal glory! Praise God! ​If you are/were part of Cobu or the Young Sheep House in Brooklyn NY at some time in your life or you are curious about the author, start with Me/Xcobu/ysh.​​Under the God heading, I explore a little about the nature of our Lord ​and what's commonly called the Trinity. In Christian Authors, I present the Brothers, who's life and work is an ​inspiration to me and to many Believers and hopefully to you also. ​In the Home heading you will find life lessons and issues, and also tracts and tracts in other languages (German, Spanish, French and Creole) Of course it's totally up to each of you how you want to proceed. Keep coming back, as I continually update and write new things as our heavenly Father leads me. And may you be strengthened to do God's will and encouraged to draw closer to our Lord and Savior and remain safe in his care! If there is any one looking for a mentor or a guiding light,or a brother to be in fellowship with; I would very much love to be mentoring you or just share fellowship in Christ with you! This website does not endorse or promote any certain religion or church, neither are we representing any church​ or organisation; we are just trying to share what the Lord himself has revealed to us and what is backed up by the scriptures for the encouragement of any honest seeker and believer! Please check what we believe in the Home section! 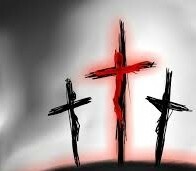 For we yet being without strength, in due time Christ died for ungodly ones. Do you feel lost and confused in this world​​? This world is an evil place. Chaos seems to rule these days. God's sheep belong with their true Shepherd. 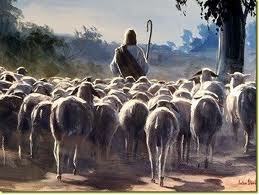 The good Shepherd lays down his life for his sheep. He knows his sheep and he calls them by name. Heed his call, return to your Shepherd. Are you one of God's sheep? ​He makes me lie down in green pastures.